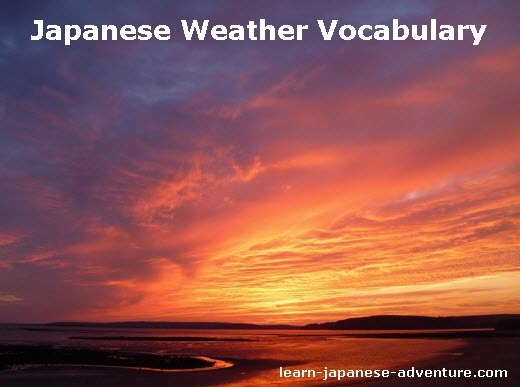 This section covers the words and vocabulary used to describe Japanese weather and seasons. 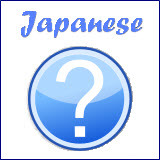 Japan is an island country and hence is frequently affected by bad weather. Especially when strong and powerful typhoons hit the country, most areas will be affected. Therefore many words are used to describe different weathers. Besides, Japan has four seasons. Thus, various words are created to sketch the images of the different seasons. Japanese people pay attention to the news for weather forecasts all the time. 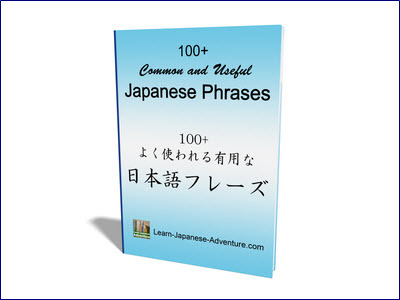 Pick up the words used and next time you will know what is the Japanese weathercaster talking about in the news. 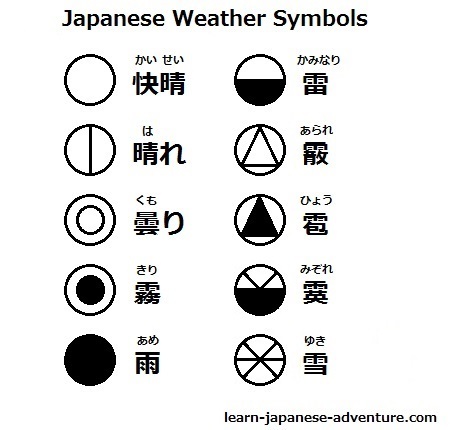 Some symbols used to represent the Japanese weather are shown in the figure above. This Japanese weather vocabulary list contains some terms which might not be used in normal conversations. 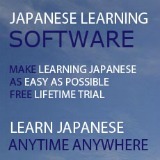 But if you keep listen to the Japanese weather forecasts for a while, you will soon understand most of them.